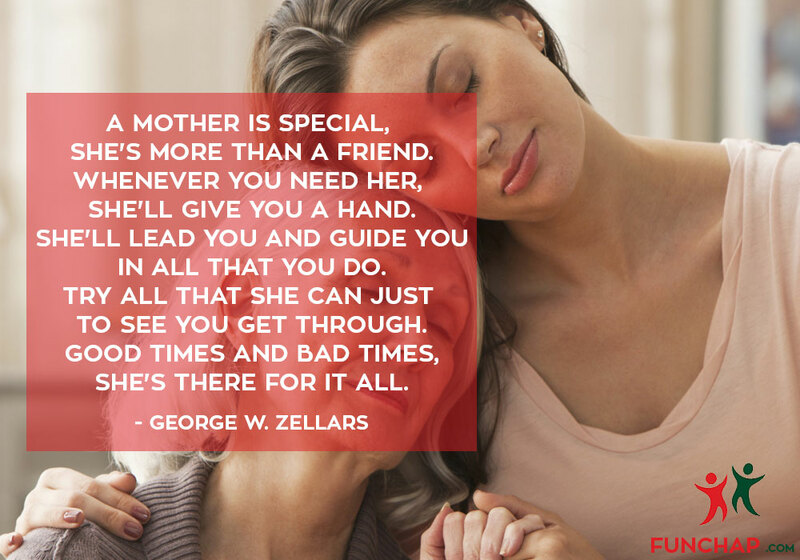 A mother is special, she’s more than a friend. Whenever you need her, she’ll give you a hand. She’ll lead you and guide you in all that you do. Try all that she can just to see you get through. Good times and bad times, she’s there for it all. Say head up, be proud, and always stand tall. or heart to heart chats on cold lonely nights. I think God made my mother like He’d make his own. nothing in this world that she wouldn’t do. raised a young boy now into a man. please always know mom, that I love you. Made me laugh for hours on end. You kissed my boo-boos when I fooled around. 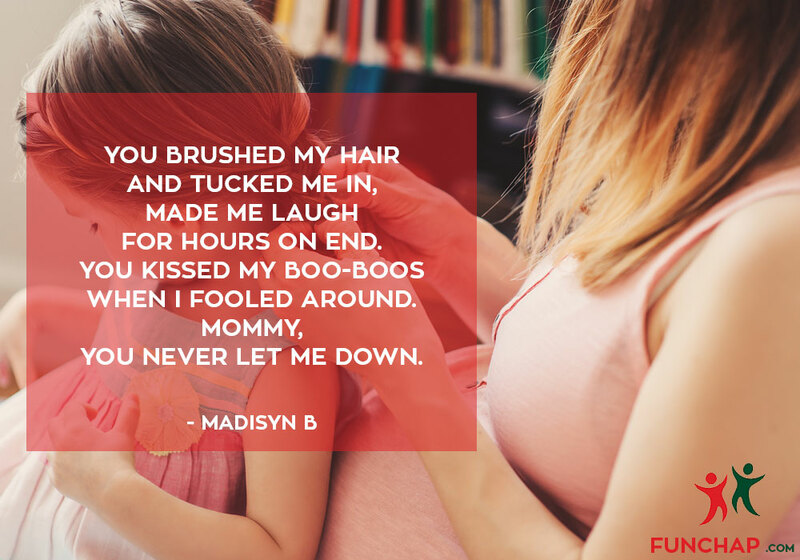 Mommy, you never let me down. Then took me for ice cream that hit the spot. You bought me Polly-Pockets and Barbies too. 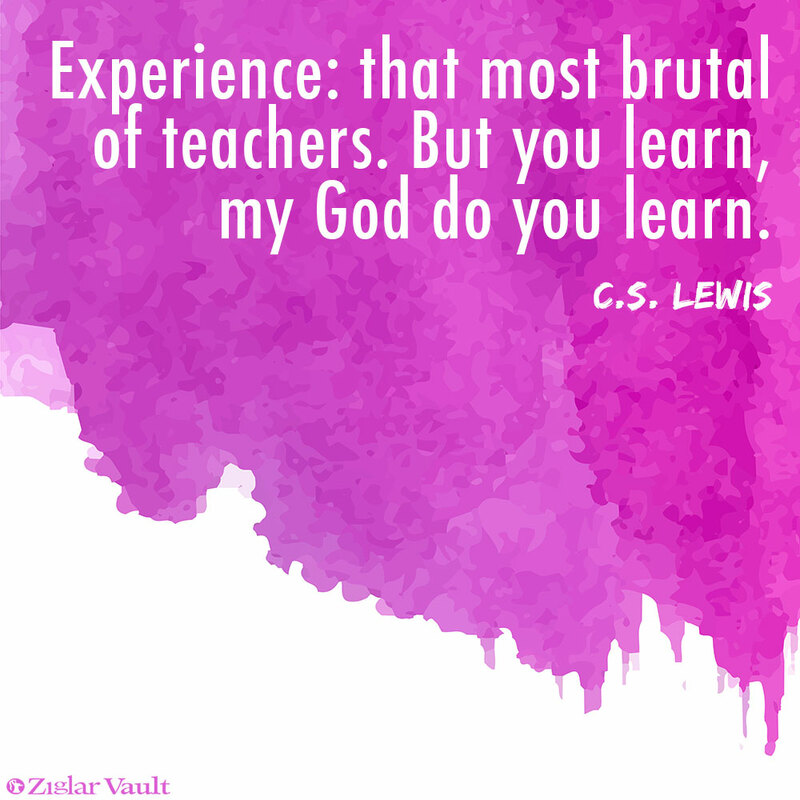 Then you met my teacher as I stared at the floor. And for that reason, Mommy, I love you. Then taught me how to handle it with class and poise. You spoke with wisdom and of things you know. As you kissed me good night. Such good care of me. To me means a lot. She wakes before me, sleeps after me. She gets me ready fast and steady. Sometimes I wonder if she is a robot. Never takes rest, no matter cold or hot. Never gets tired though she has a pile to do. 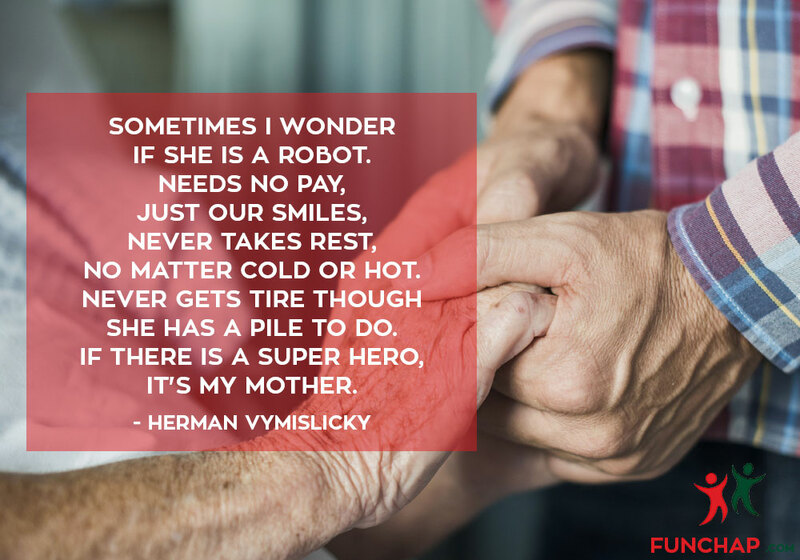 If there is a super hero, it’s my mother. I’m blessed to be blessed by her. Makes me cry and makes me laugh. Her touch is softer than fur. She cares for everyone: me, my brother, and father. But my mother loves me more than just that. Sitting on a tree of love. I am blessed that she is my mother. But no one can hold us apart. She is my super hero. My first bike and baseball glove. And you filled my life with love. With a smile and embrace. Come from Jesus up above. Possessed a pot of gold. Back in the days of old. Could end up with a scream. 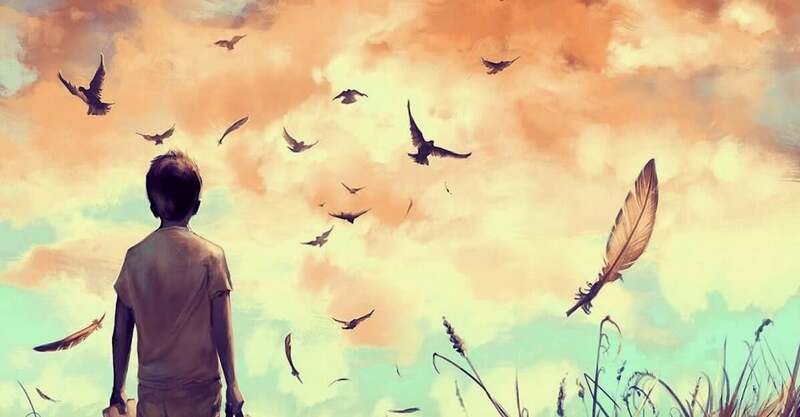 Not to give up on a dream. And tended to my every need. That a man needs to succeed. And you brightened up my world. the kind who does everything right and never anything wrong. keep a clean house and be happy, never ever depressed. each member made happy with egos caressed. 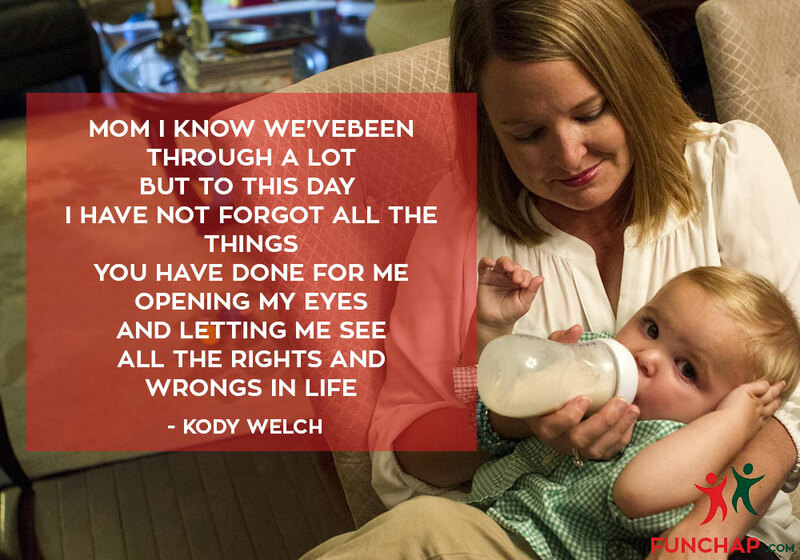 if every mother was perfect, meeting every child’s need. lives filled with trials like ours, to deal with every day. when not a single one can wear that perfect mom label. as you grow older and wiser, you’ll see her anew. praise the fine things, talk about what makes you unhappy or sad. for good memories she’s given, the good times that you’ve had. for this very reason, give her honor and respect. because she certainly hasn’t stopped loving you through it all. 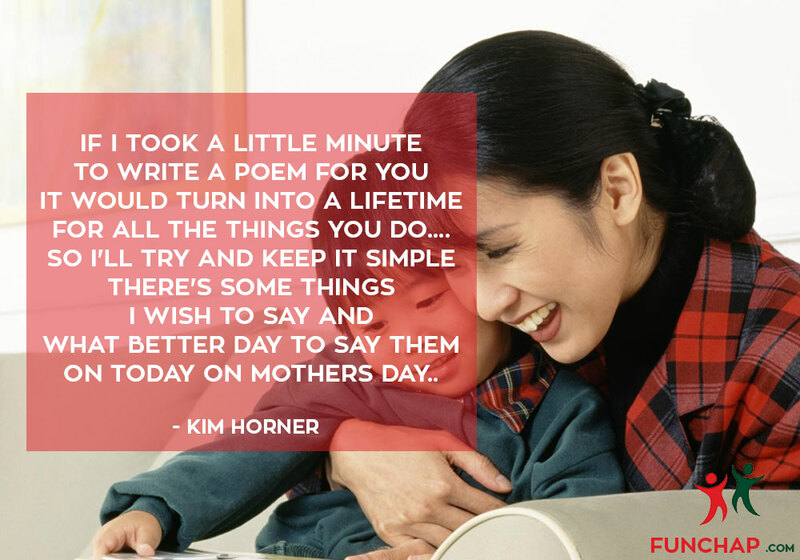 And today is for you mom, your special day. It would turn into a lifetime for all the things you do…. 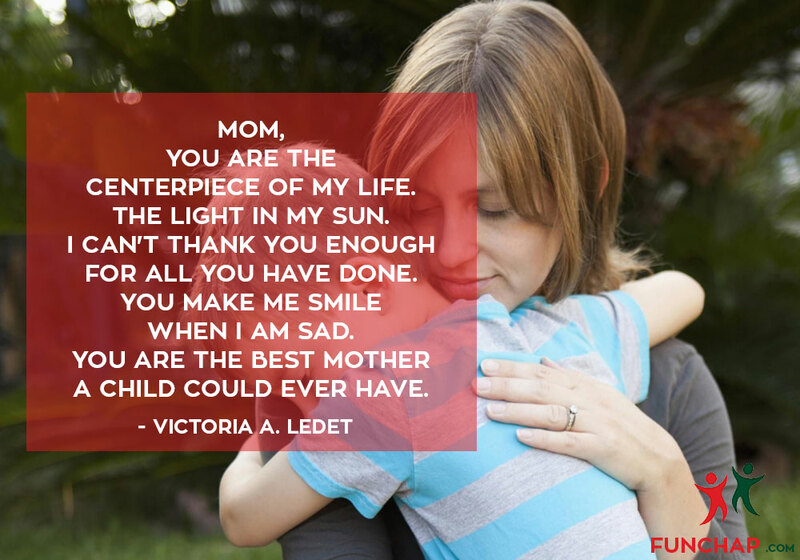 Mom, you are the centerpiece of my life. The light in my sun. I can’t thank you enough for all you have done. 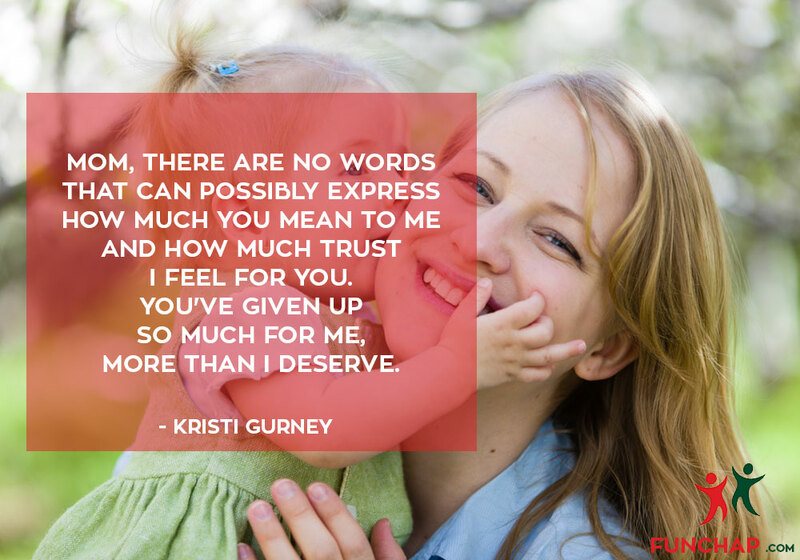 You are the best mother a child could ever have. You console me deeply when something’s wrong. You know when something’s happened or something’s going on. I appreciate the love you bring in. You cheer me up when I lose. You make me laugh when I win. You turn my moon into a sun. You’ve done too much though my life has just begun. You give me a shelter and food to eat. The bones in my feet. You support me and hold me tall. You stand me high and don’t let me fall. You make my life easier in every way. That’s why I want to say Happy Mother’s Day! Something I hardly ever do. and it’s something I must do. I need to thank you for all you do for me. don’t know how else to say Thank You. and how much trust I feel for you. I can always count on your smile. with every bit of my heart. When I was a small child. you held my hand and smiled. When I got hurt I would cry. you would giggle and dry my eye. 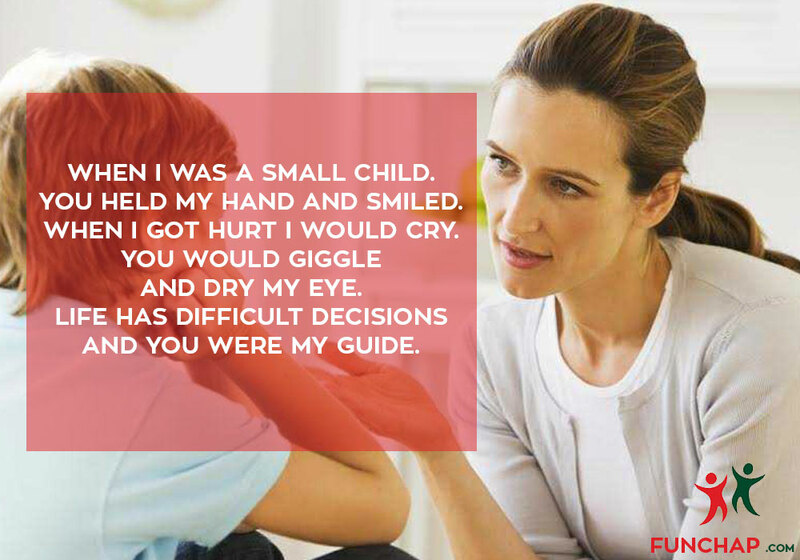 life has difficult decisions and you were my guide. you taught me how to decide. you told me that the bad should be denied. and that family should never be put aside. I was a little wild. as I grew I’ve done a few wrong things and it’s true. 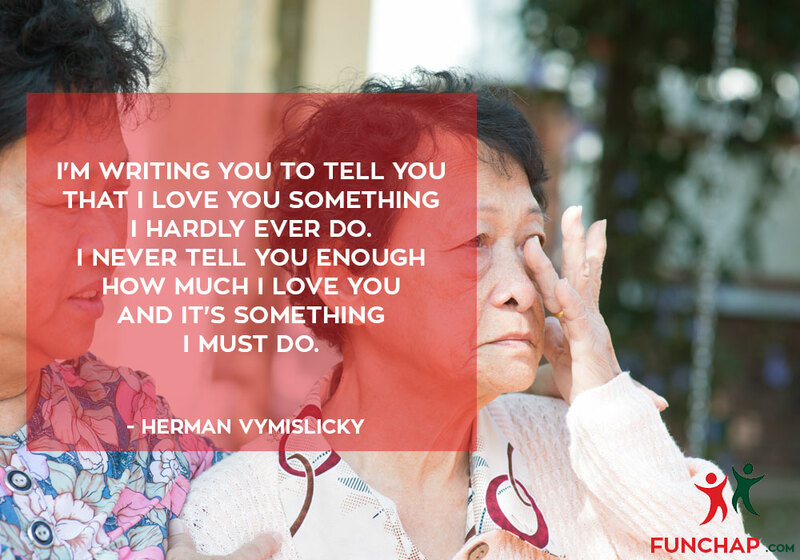 there’s a lot of things I’ve wanted to tell you. and when we have problems we always make it through. I love to see you coming. I love you and miss you with all my heart. 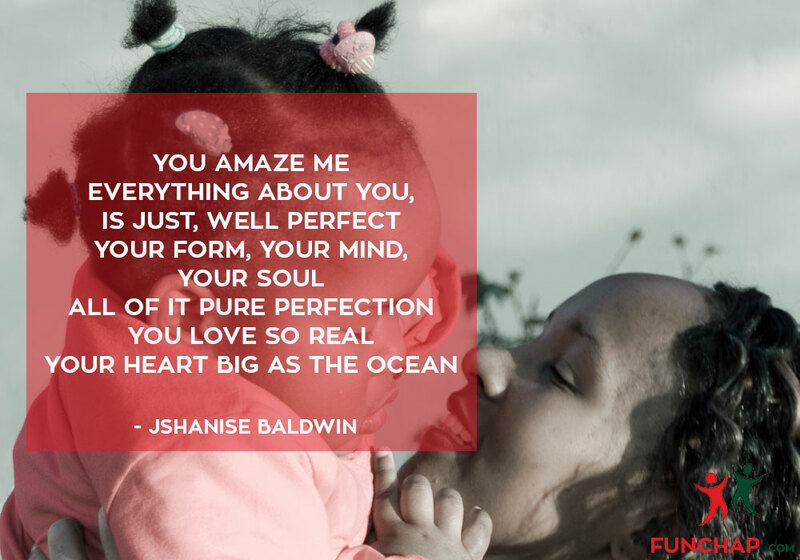 LOVE: comes in many ways, but the love a mother has for their child is amazing. DEDICATION: It is really cool the way a mom is so dedicated to their child at all times. RESPECT: goes to a mom who does everything for their child no matter how lame. HONOR: is what I do for my mom. I honor her and cherish her love. INDESCRIBABLE: a word that stands alone because there exists no such word to describe how much I love my mom and how much she means to me. you kept me in love. what’s deep in my heart. way back in your tummy. and finally focus like new. for you now I will list. It ends with a kiss. at night, upstairs, alone in our chair. goodnight moon is the best. fast asleep on your chest. in my own cute way. if I give her a chance. To the strongest woman I will ever know. And as you do, out comes love. 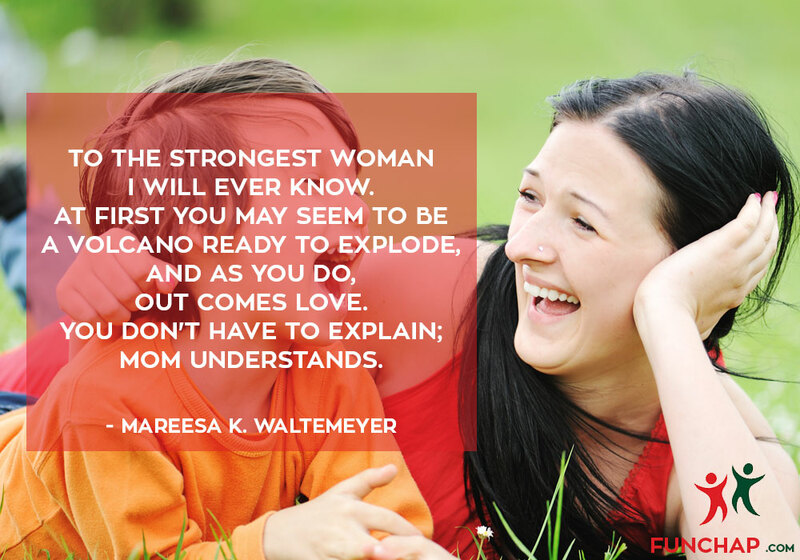 You don’t have to explain; mom understands. You’ll fix our mistakes with only one hand. Your fingers have strength to wipe the tears. Your palms have strength to balance me here. Your bruises and your beauty are in clear view. An in-depth reflection of the fighting you do. And when they disappeared, it was because you already beat them. And as you do out comes love. 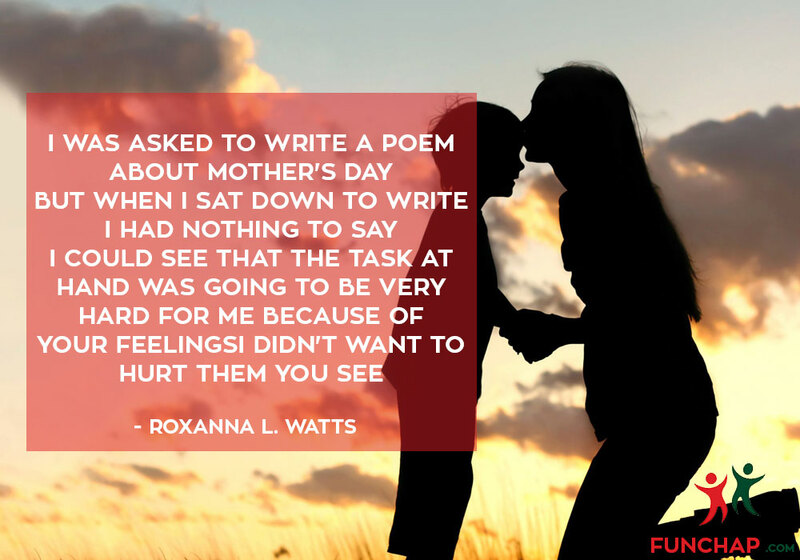 The natural state of motherhood is unselfishness. 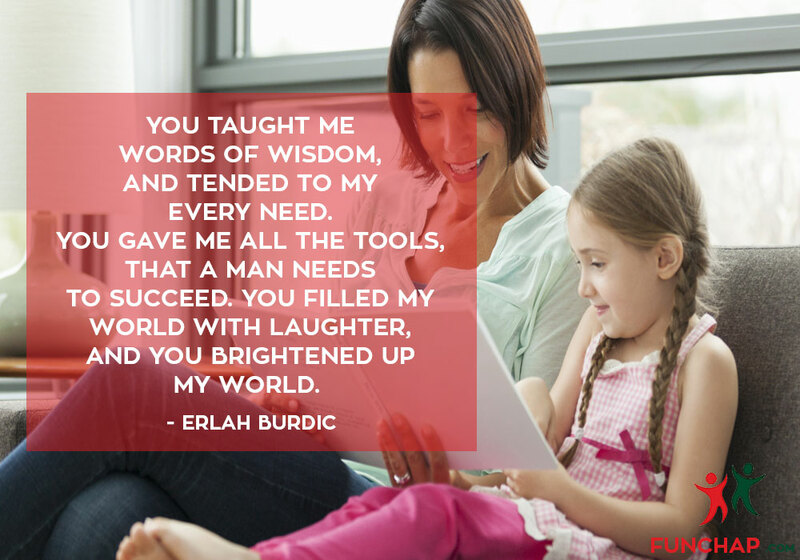 When you become a mother, you are no longer the center of your own universe. You relinquish that position to your children. I’m immensely grateful for the precious gift my mother has given me. She is my hero today and every day. The mother art is architecture. Without an architecture of our own we have no soul of our own civilization. 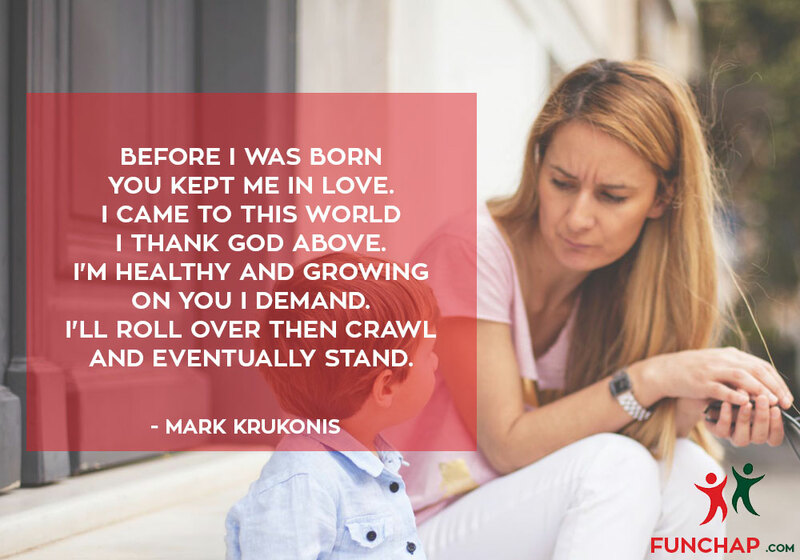 It is not until you become a mother that your judgment slowly turns to compassion and understanding. You carry Mother Earth within you. She is not outside of you. Mother Earth is not just your environment. In that insight of inter-being, it is possible to have real communication with the Earth, which is the highest form of prayer. My mother told me two things constantly. One was to be a lady and the other was to be independent, and the law was something most unusual for those times because for most girls growing up in the ’40s, the most important degree was not your B.A. but your M.R.S.